Future Librarian Superhero: Story Time Magic! Hello duckies, I'm busy and frazzled but I'm posting nonetheless! Anybody else have this puppet? I inherited it when I started here. I use it to make story time magic! But that's not really part of the story, just funny. 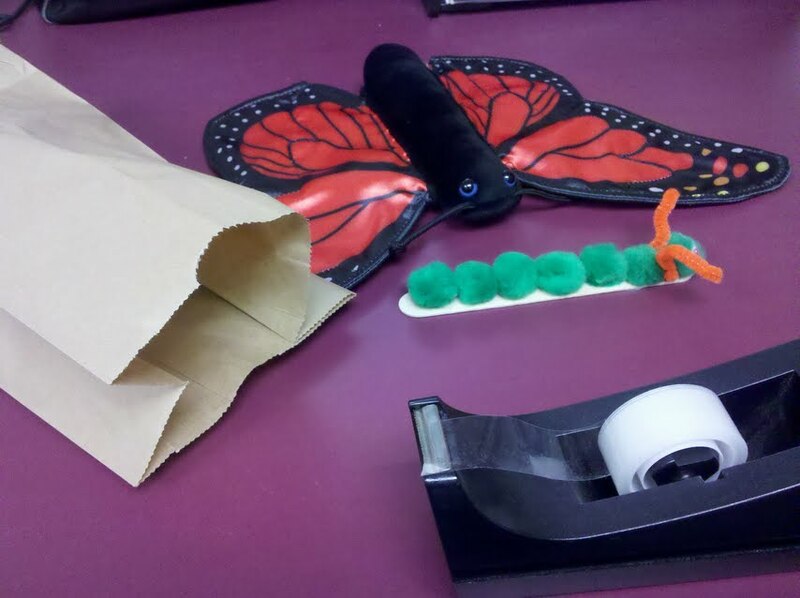 So I was getting ready for storytime, and somewhere in the depths of Google I found a suggestion to use a brown paper bag for a cocoon. Sadly, I have lost the source, but it was a classroom teacher forum and I'm sorry! And I thought, "Hmm, I have that puppet with the 'secret' opening...story time magic!" You can make magic with these common library items! So I made a caterpillar out of a large craft stick, pom poms, pipe cleaner and googly eyes. He fit perfectly into the puppet opening! 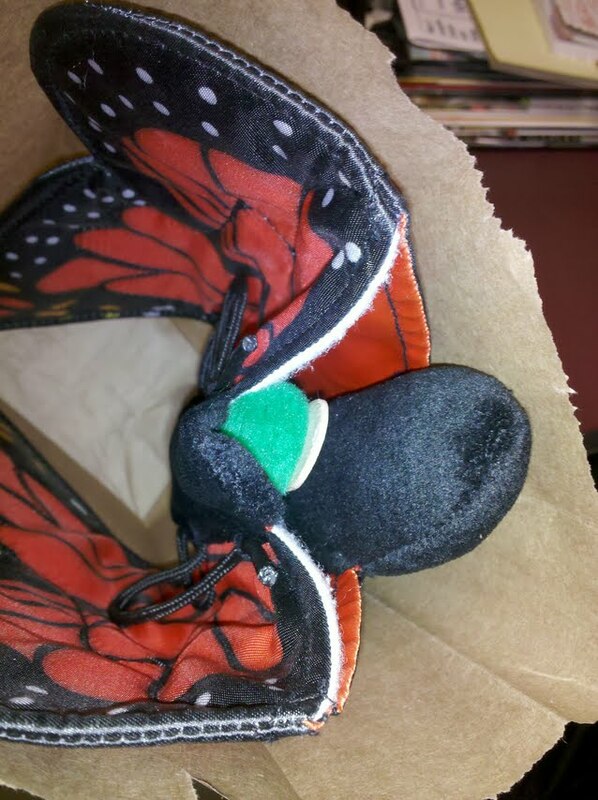 Bag with butterfly hidden inside, caterpillar added. 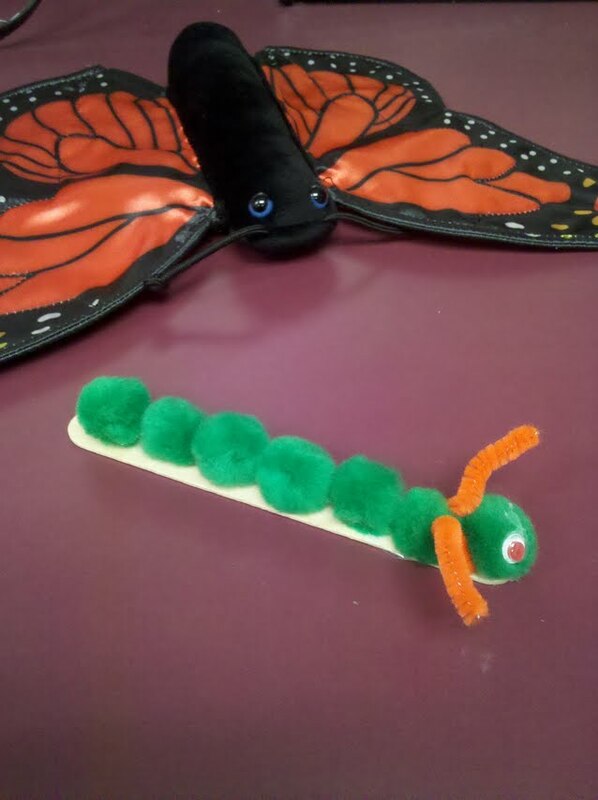 So, we read Eric Carle's "Very Hungry Caterpillar." Then I brought out the caterpillar and we went over the plot elements of VHC from memory, which helps kids understand narratives/build vocab. When we got to the part where he builds a cocoon, I pulled out the paper bag (I already had the puppet hidden inside) and asked if we could pretend the bag was the cocoon. 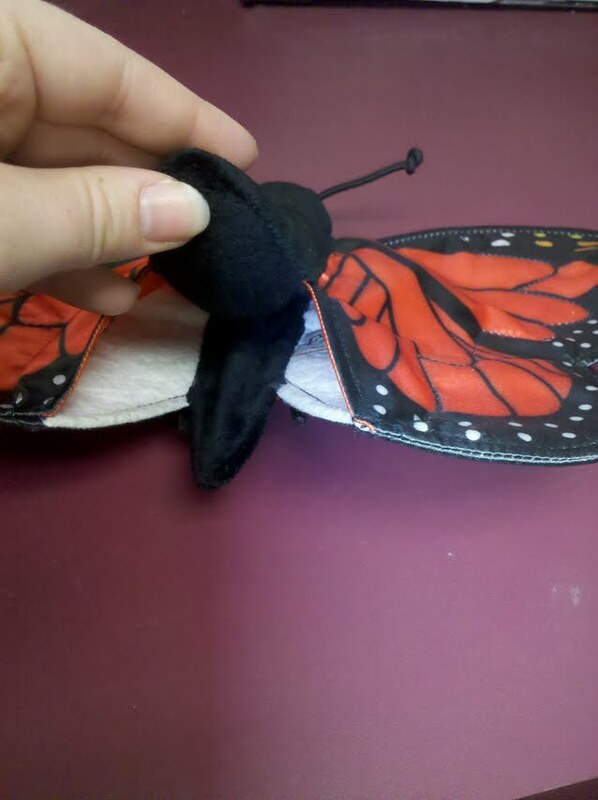 Then I stuff the caterpillar inside the puppet and twist the 'cocoon' closed. Then I taped it up in a 'safe' place, and we tested if it was safe from the wind by blowing on it. With some groups I talked about camouflage too. 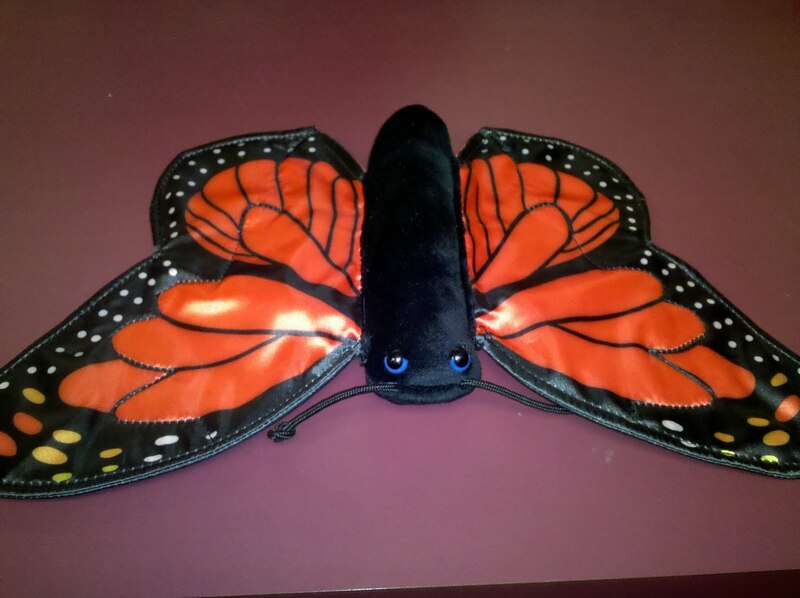 I talked about how long caterpillars stay in cocoons and left the bag up there while we read another book (older groups) and/or sang a song like, "There's a Little Caterpillar on a Leaf--Munch munch" (Happy and You Know it). They really anticipated opening the cocoon and made sure I didn't forget about it. When I tore open the bag and pulled out the butterfly (holding it at the opening) it completely blew their little minds, and they pronounced me magical. I highly recommend story time magic. p.s. 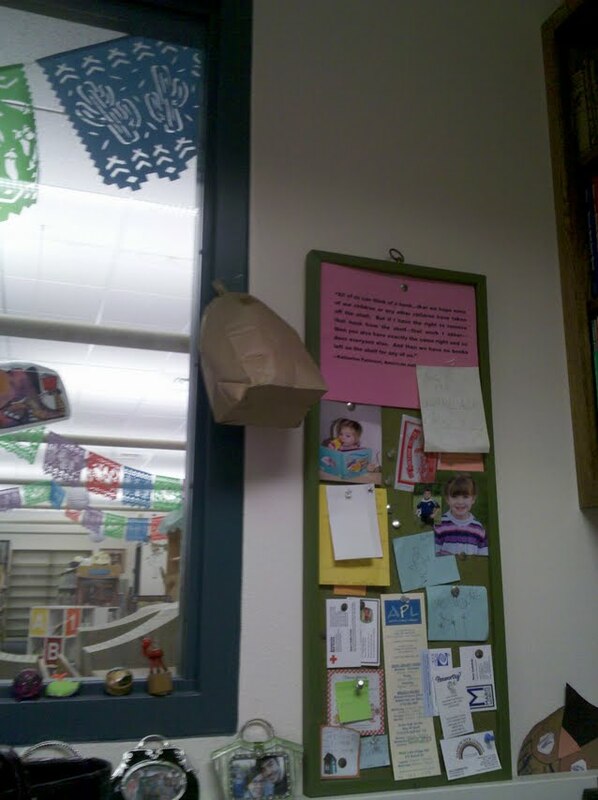 The picture of the cocoon is in my office, and I'm just leaving it there. Story time magic becomes office magic. SO magic! What a great idea to sit and wait and build anticipation...I am already wondering how else we could use the same idea. I love it. 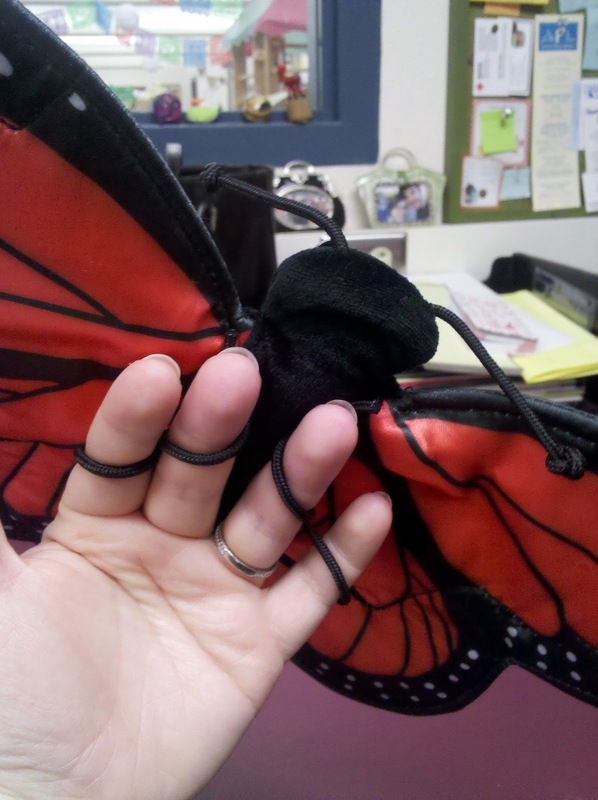 Can't wait to add this to our Butterfly Resource Pack for our staff--I am almost positive we already have that puppet! Thanks! I have that puppet! I'm totally doing this. That's wonderful! The kids already think I'm silly, now they'll think I'm magic too! whoa! you just blew my mind 2! what a show(wo)man you are! that is a fantastic storytime. It has been brought to our attention that you have posted Storytime Magic® which is a federally registered trademark (U.S. Reg. No. 3035211). It is possible that you are unaware of this trademark. If you have any questions you may contact us at storytimemagic@yahoo.com.